When I heard that L'Oreal were bringing out a bi-phase eye makeup remover to rival the Clarins one, I was down to Boots in a flash to give it a try. Basically, the makeup remover is oil and water based, so you can see a quarter of the bottle is oil and the rest water based. This is supposed to work to dissolve your makeup and remove it better than regular eye makeup removers. 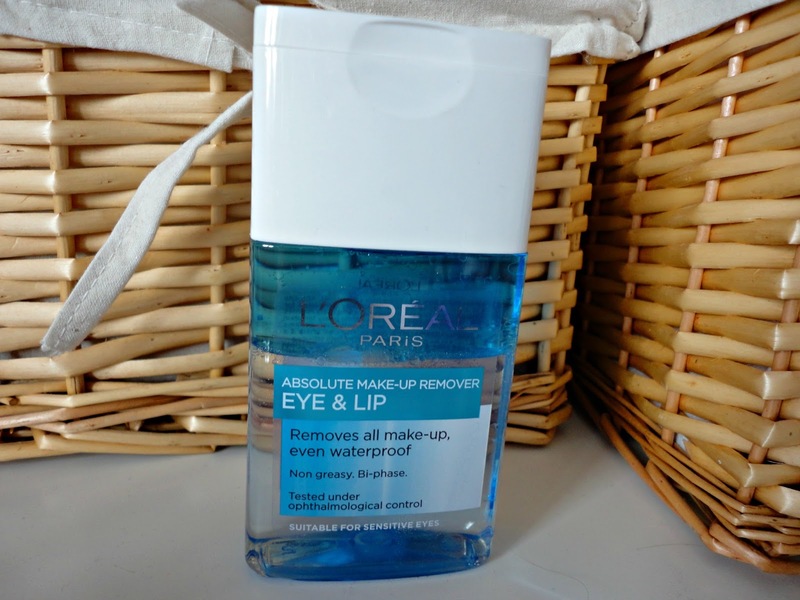 I have found this to be better than the original L'Oreal Eye Makeup Remover, and has definitely been a good match for my Benefit 'They're Real!' mascara which is an absolute pain to get off. I haven't tried it with waterproof mascara yet so I can't say how well it fares with that but I've been impressed with how well it takes off my eye makeup, including dramatic smokey eyes etc. I wouldn't say it's extremely greasy but it definitely feels oilier than normal eye makeup removers, but that's to be expected with a bi-phase remover like this. I haven't tried the Clarins one so I can't compare the two, but I don't feel the need to buy the other one when this one does the job pretty well along with my L'Oreal Micellar Water!